Al-Qaeda in the Arabian Peninsula (AQAP) offered a prisoner swap with the Islamic State (IS) and threatened reprisals if any of its captive fighters are harmed. 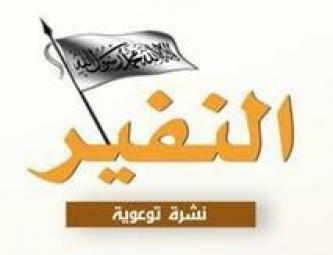 Al-Qaeda in the Arabian Peninsula (AQAP) announced that an escapee from Political Security prison in the Yemeni capital rejoined its fighters, and claimed capturing Islamic State (IS) positions in al-Bayda' and confiscating what they contained of weapons, money, and electronic equipment. 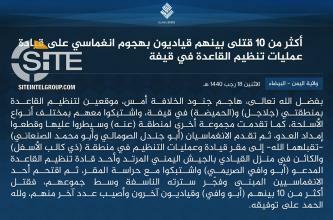 The Islamic State (IS) claimed killing and wounding 10 al-Qaeda in the Arabian Peninsula (AQAP) fighters in the Bayda’ governorate of Yemen. 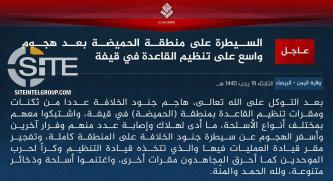 Al-Qaeda in the Arabian Peninsula (AQAP) claimed capturing an Islamic State (IS) fighter and killing two others among four attacks on the group in Yemen's al-Bayda' governorate. As a feature in Naba 174, the Islamic State (IS) gave an infographic covering military statistics for the past six months by its fighters and those inspired by the group in the West, totaling nearly 2,000 operations and over 7,450 casualties. 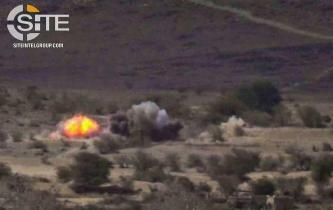 With the violent conflict escalating between the Islamic State (IS) and al-Qaeda in the Arabian Peninsula (AQAP) in Yemen, the former claimed a broad offensive on positions held by the latter in al-Humaydha, in al-Bayda' governorate, and striking another operations command headquarters of the group. Al-Qaeda in the Arabian Peninsula (AQAP) announced its seizing control over five positions held by the Islamic State (IS) in Yemen's al-Bayda' governorate, coming one-day after the IS claimed raids on multiple locations of its jihadi rival. On the same day the Islamic State (IS) claimed attacks on its fighters in Yemen's al-Bayda' governorate, including a two-man suicide raid, al-Qaeda in the Arabian Peninsula (AQAP) reported an assault on IS fighters. In a multi-pronged attack on al-Qaeda in the Arabian Peninsula (AQAP) in Yemen's al-Bayda' governorate, the Islamic State (IS) claimed a two-man suicide raid and two clashes, killing over 10 fighters. 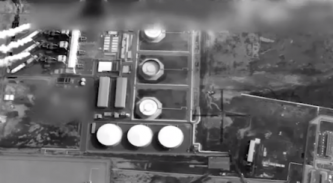 Revealing aerial footage of targets, Yemen’s Houthis threatened a desalination and power plant near Jazan, Saudi Arabia. Al-Qaeda in the Arabian Peninsula (AQAP) claimed wounding two troops from the UAE-backed Security Belt Forces (SBF) in Yemen's Abyan governorate, and two attacks on the Islamic State (IS) in al-Bayda'. 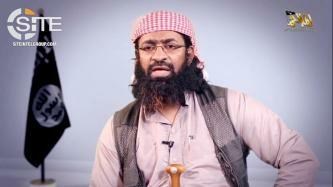 Al-Qaeda in the Arabian Peninsula (AQAP) official Khalid Batarfi delivered a video speech using the occasion of the historic papal mass in the UAE to incite change in the regime. 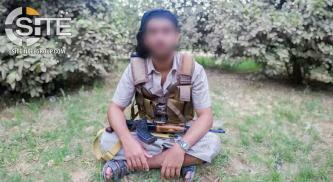 Al-Qaeda in the Arabian Peninsula (AQAP) claimed a sniper attack and raid on Islamic State (IS) fighters in Yemen's al-Bayda' governorate, and bombing UAE-backed Security Belt Forces (SBF) in Abyan, killing at least four elements including a commander. 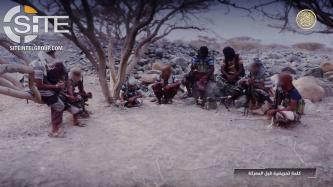 Al-Qaeda in the Arabian Peninsula (AQAP) released a video documenting its attacks in Yemen on Houthi fighters in al-Bayda', Security Belt Forces (SBF) in Abyan, and the Shabwani Elite in Shabwa. Since it began giving weekly statistical data on its operations in August 2018, the Islamic State (IS) recorded in Naba 170 its lowest numbers of casualties and attacks. The Islamic State's (IS) 'Amaq News Agency released a brief video of bombing a vehicle belonging to al-Qaeda in the Arabian Peninsula (AQAP), in al-Bayda' governorate in Yemen. 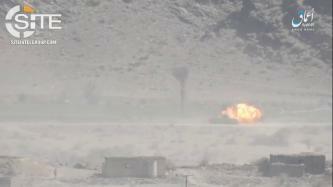 Yemen’s Houthi rebels continue firing short-range rockets at Saudi forces in Najran, Saudi Arabia. The Islamic State's (IS) al-Naba newspaper featured an infographic identifying 197 casualties in 79 attacks, in a statistical breakdown of IS operations for the week of February 7-13, 2019. Al-Qaeda in the Arabian Peninsula (AQAP) claimed bombing Houthis and their rescue vehicle, and also detonating another explosive to target Islamic State (IS) fighters, both in Yemen's al-Bayda' governorate. 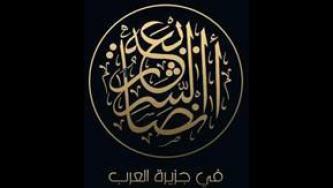 Al-Qaeda (AQ) condemned the historic papal mass in Abu Dhabi, in the United Arab Emirates, considering it a manifestation of of the shame into which leaders plunged Muslims, and called on Muslims in the entire Arabian Peninsula to embrace jihad and seek help from and lend support to AQAP and the Shabaab in Somalia.